The Midtronics PBT-300 is an easy to use tester which provides fast battery and electrical system test results. 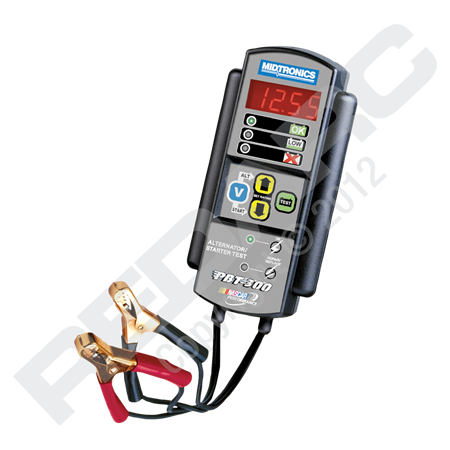 The Midtronics PBT-300 is an easy to use tester which provides fast battery and electrical system test results. With a battery range of 100-1400CCA this unit is perfect for warranty testing at automotive dealers and battery resellers.